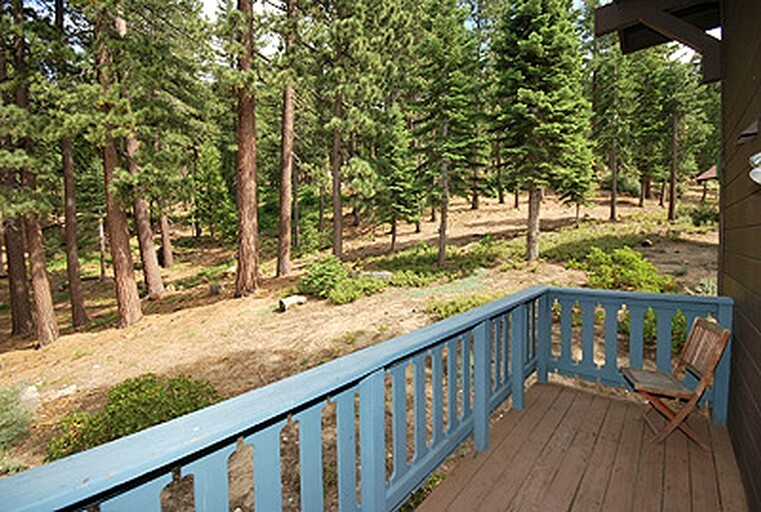 This pet-friendly weekend getaway is nestled amongst the forest near South Lake Tahoe, California, and can accommodate four guests. There are two bedrooms, one full bathroom, and a half bathroom. 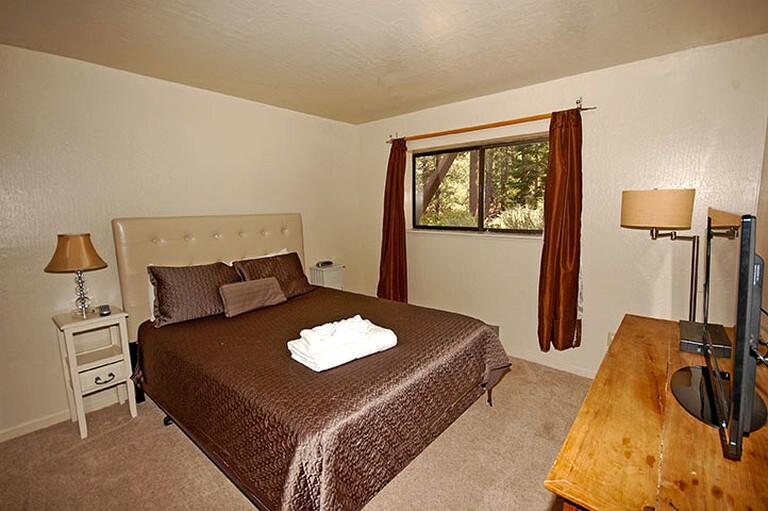 The first and second bedrooms each have a comfortable queen-size bed and a television. There is also a loft area with two twin-size beds for additional guests (this room has low ceilings and a steep stairway so may not be suitable for all guests). In the bathroom, guests will find a toilet, a sink, and a shower. Linens and towels are provided. 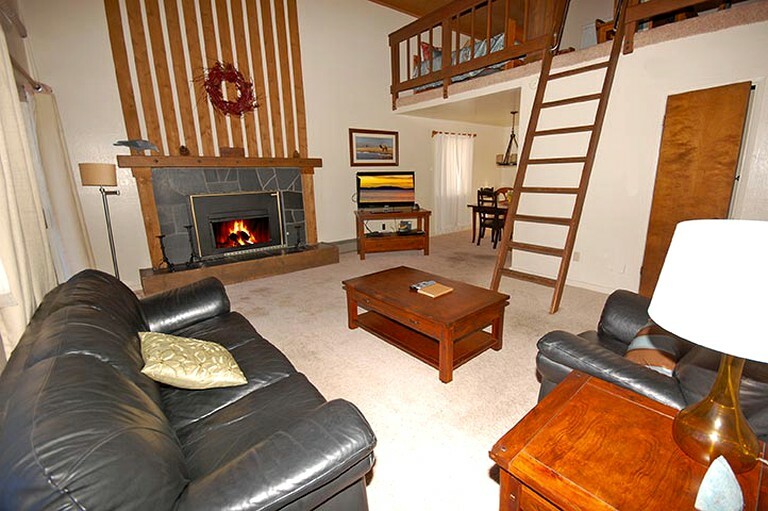 In the living room, guests will find a cozy leather sofa suite, a television, a CD player, a DVD player, a stereo, and an inviting fireplace; perfect for snuggling up beside the hearth after a refreshing day outdoors. 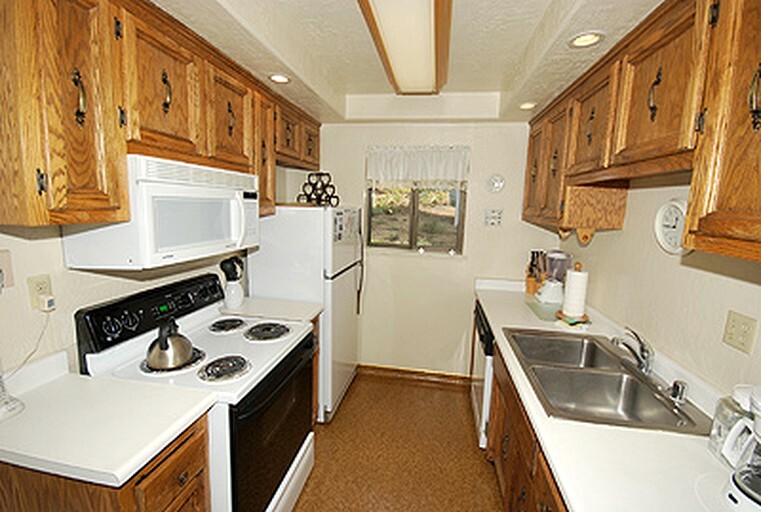 The fully-equipped kitchen comes with a stove, a refrigerator, an oven, a coffeemaker, a dishwasher and all essential cutlery and utensils to ensure glampers have everything they need for creating memorable shared meals. 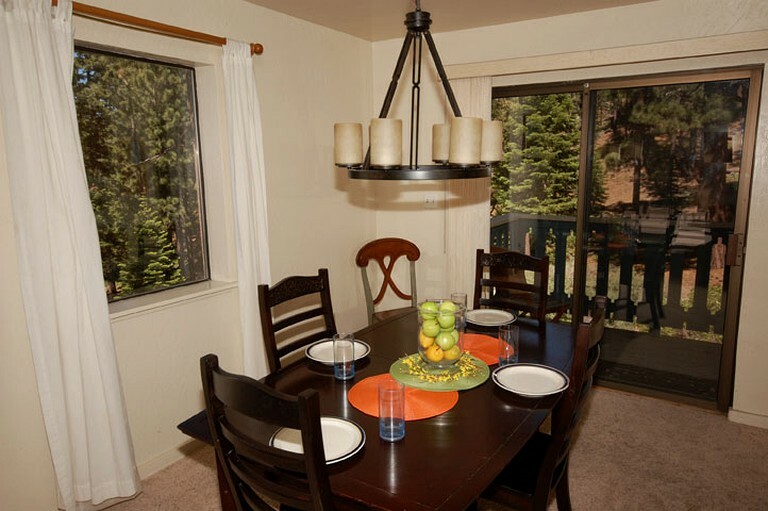 Other amenities include Wi-Fi, a washer/dryer, a telephone, and convenient off-street parking. 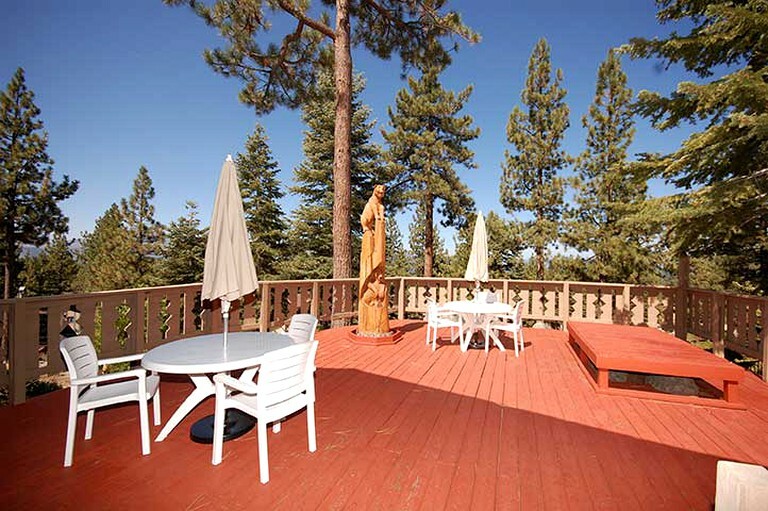 The accommodation has spacious living areas, as well as an expansive front deck with stunning sunset views of Tahoe. 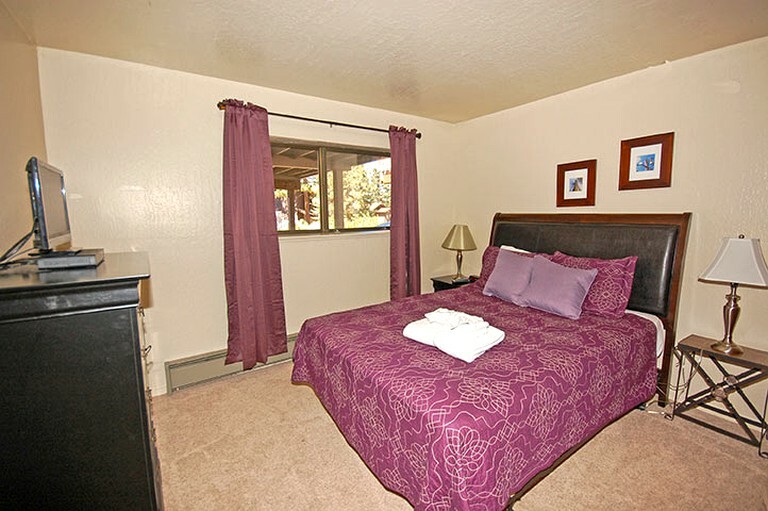 Glampers have access to community facilities including a hot tub, a clubhouse, and a swimming pool. 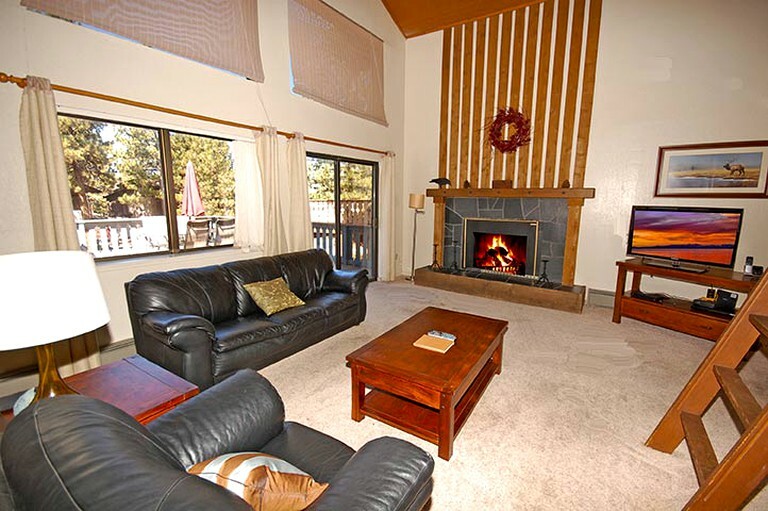 Wi-Fi is provided, as well as unlimited long distance calling, and HBO, HD, and Cinemax programming for the television. 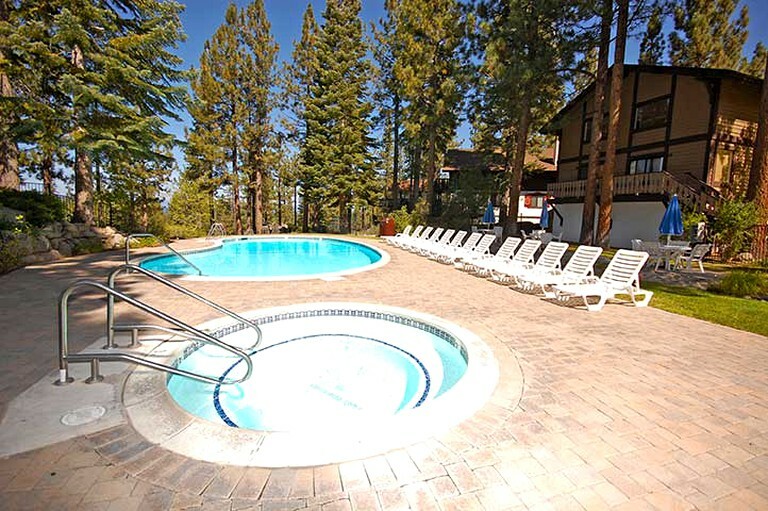 Glampers have free access to community facilities including a hot tub, clubhouse, and a pool. Please note the pool is open during summer months only. 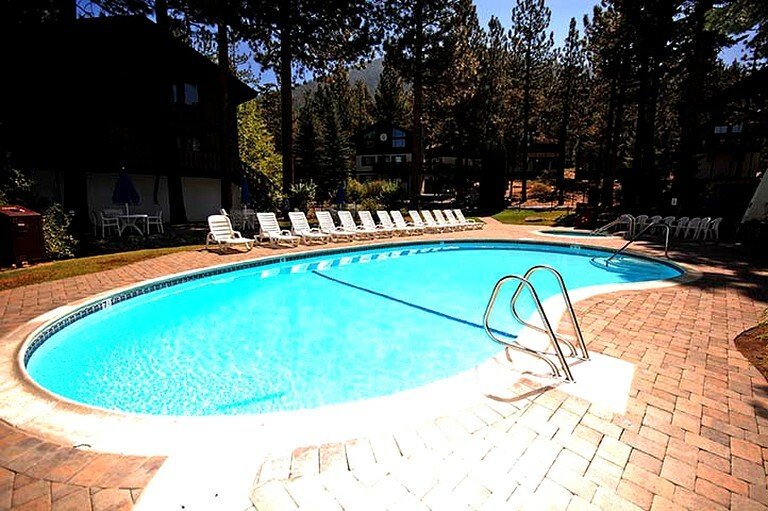 This stunning accommodation is located amongst a wooded area in South Lake Tahoe, California. 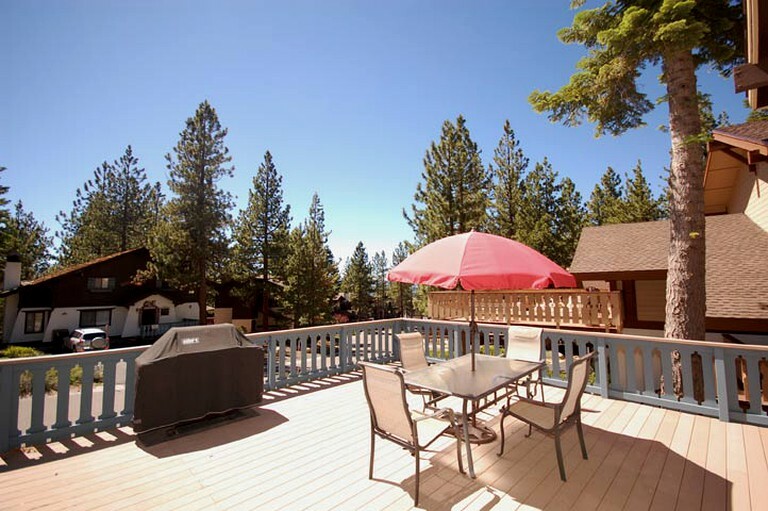 The property backs onto a vast expanse of forest and is very close to top-class skiing opportunities, the lake, and the renowned casinos the area has to offer. The vibrant community of the city center is just over five minutes away and has an array of eateries, bars, and outdoor pursuits to offer. From enjoying the areas top-class skiing to hiking one of the spectacular local routes, glampers will have so many activities to choose from. There are beautiful scenic trails including the Mt. 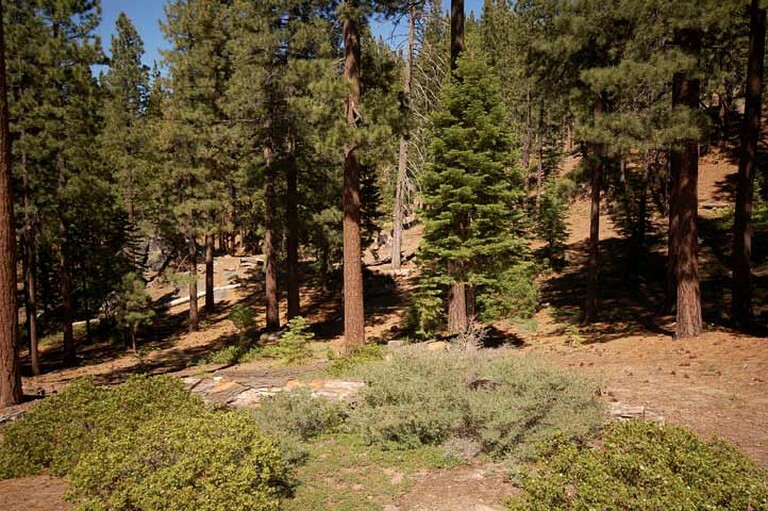 Tallac Trail, the Rubicon Trail, and the parkland of Van Sickle Bi-State Park. 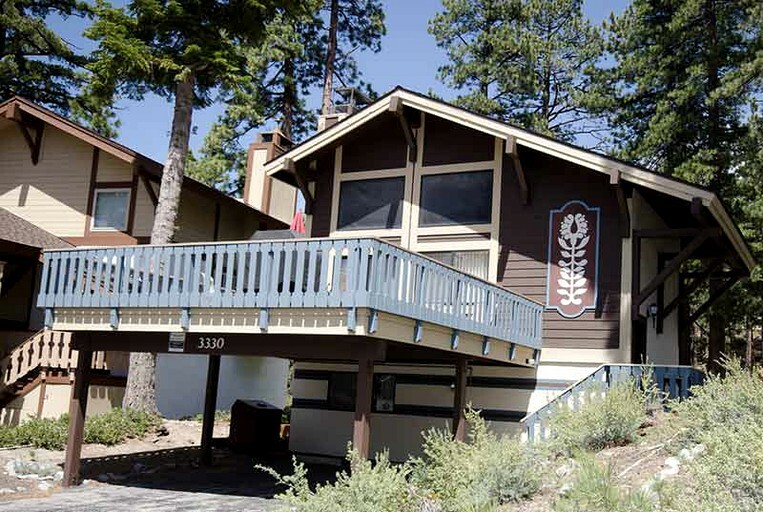 There are opportunities for water sports and fishing at the local beaches including Pope Beach, and Lakeside Beach, and the Lower Eagle Falls are a popular sight. There are also chances for helicopter tours, boating tours, and hot air balloon rides. The vibrant local community has many art galleries and eateries to discover, as well as the renowned casinos. Pets are welcome but may incur a fee. Rates may vary dependant on season, please inquire for more details. This is a non-smoking rental. Extra fees and taxes may apply.